If you want to kick off 2017 with a new wearable fitness tracker or smartwatch but aren't sure if Fitbit is right for you, check out these three alternatives from Apple, Garmin and TomTom. Fitbit is still the crowned head of wearables. The San Francisco-based company has the largest share of the wearables market at 23 percent, according to IDC (a CIO.com sibling organization). However, nearly every day, I read headlines and articles that predict Fitbit's doom. To be fair, the San Francisco-based company had a challenging 2016. One look at its stock price during the past 12 months shows cause for concern. I share some of that concern, but I also believe Fitbit offers the best activity trackers at multiple price points, combined with an easy-to-use app and a robust social leaderboard. If you're thinking of buying a new wearable to kick off 2017, Fitbit is a great place to start. But it's not your only option, by any means. Here are three Fitbit alternatives that are worth a look. Starting at $369, the recently updated Apple Watch Series 2 costs $119 more than Fitbit's most expensive tracker, Surge ($250). But you get your money's worth. The Watch is a powerful activity tracker and an excellent smartwatch. Its Activity app tracks daily calories burned; the number of hours you get up and move around each day (reminders on the Watch prompt you to do so); and if you move briskly for at least 30 minutes every 24 hours. A separate app, Workout, lets you record a variety of workouts, including, with Watch Series 2, swim workouts. Another app, Breathe, walks you through guided breathing exercises. Unlike the first-generation Apple Watch, Series 2 has built-in GPS for more accurate data on outdoor runs and walks. 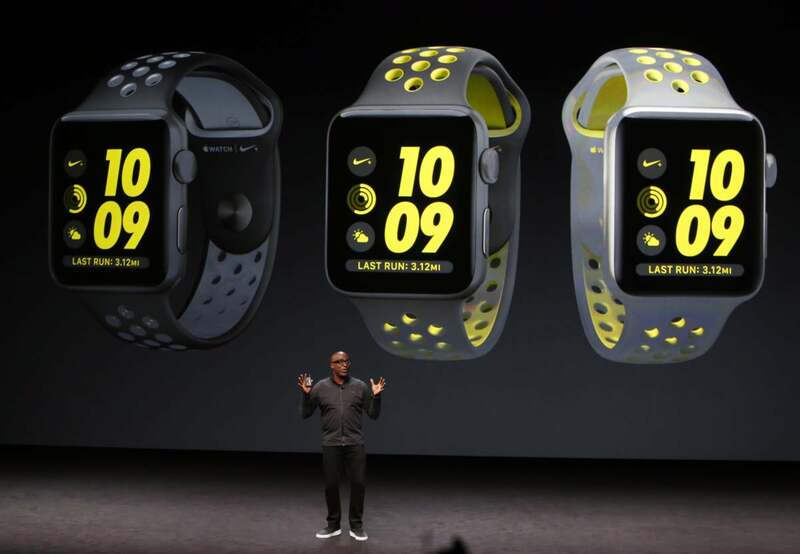 I particularly like the Nike+ version of Apple Watch Series 2, for its perforated wristband, which helps the skin on your wrist breathe during intense workouts. The Nike+ edition costs the same amount as the regular Apple Watch with sport band. Unlike many Fitbits, however, Apple Watch doesn't track sleep, though it works with third-party apps that do. Unfortunately, you need to charge the Watch's battery each night, so accurate sleep tracking is difficult. Garmin is the most formidable of all Fitbit competitors. The company offers a ton of activity trackers at different price points, some of which are dedicated to specific sports, such as swimming and golf. The vivofit 3 is my favorite Garmin wearable that I tested in 2016. It has a lot going for it, including a slim profile; a battery the company says lasts for a year; auto exercise and sleep detection; move reminders; swim workout support; and lots of different band options. You get all of that for only $100. Garmin's mobile app is a bit cluttered, and the vivofit 3 isn't as stylish as Fitbit's Alta, which is perhaps its closest competitor. But if you want a wearable and aren't sold on Fitbit, vivofit 3 is a good choice. The TomTom Spark 3 Cardio + Music gives you a lot of goodies for $250, such as GPS tracking, heart-rate tracking, automatic activity tracking, support for swim workouts, and route exploration, or the ability to download and follow running paths. You can also store up to 500 songs on the watch and listen to them wirelessly with the included (though not particularly impressive) Bluetooth earbuds. I don't love the sometimes-sluggish TomTom MySports mobile app, however. The watch interface isn't intuitive, and no leaderboard of social connections exists to motivate you. If you're in the market for a solid GPS running watch, however, Spark 3 Cardio + Plus Music is worth adding to the list.